If you’re curious about your baby’s teeth, read on to learn answers to these frequently asked baby tooth and teething questions. Most babies start teething between four and seven months old. At that point, their gums will start to swell and their new teeth will begin to cut through their gums. Teething is often a painful process for your child. Signs of teething include: drooling, gum swelling, irritability, refusing to eat, trouble sleeping, and biting people and objects more frequently. However, if your child has a fever, diarrhea, or is vomiting, they may have a more serious problem and you should take them to your doctor as soon as possible. By the time they are three years old, all 20 of their baby teeth should have grown in. What are some teething remedies? If your child is teething, there are a few things that you can do to help relieve their teething pain. Ask your doctor if you should give your child pain medication. If they say yes, find a medication made especially for infants. You should never give acetaminophen to babies less than 3 months old and ibuprofen to babies less than 6 months old. Never give your child something straight out of the freezer to chew on, as it can harm their gums. What order do baby teeth grow in? When should my child start to lose their baby teeth? 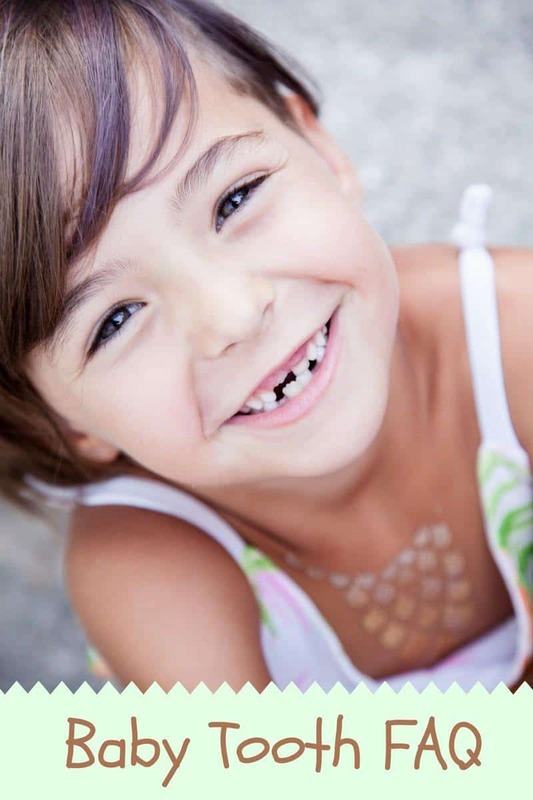 The first permanent teeth to grow in are typically the 6 year old molars, and they will not cause a tooth to fall out, so they are often confused with baby teeth. Around that same time, your child will begin losing their baby teeth. Your child will lose their teeth in the same order that they grew in. Most children will have a mouth full of permanent teeth by the time they are 13 years old. Between age 17 and 21, their wisdom teeth will need to be removed to prevent problems. Do I have to take care of the baby teeth if they’re just going to fall out? Yes! Baby teeth are just as important as permanent teeth, and as such you need to take care of them. If your child gets cavities, the bacteria can be passed to the permanent tooth, and cause health problems in the rest of the body. Baby teeth also serve as a placeholder for permanent teeth, and help children chew food and speak properly. 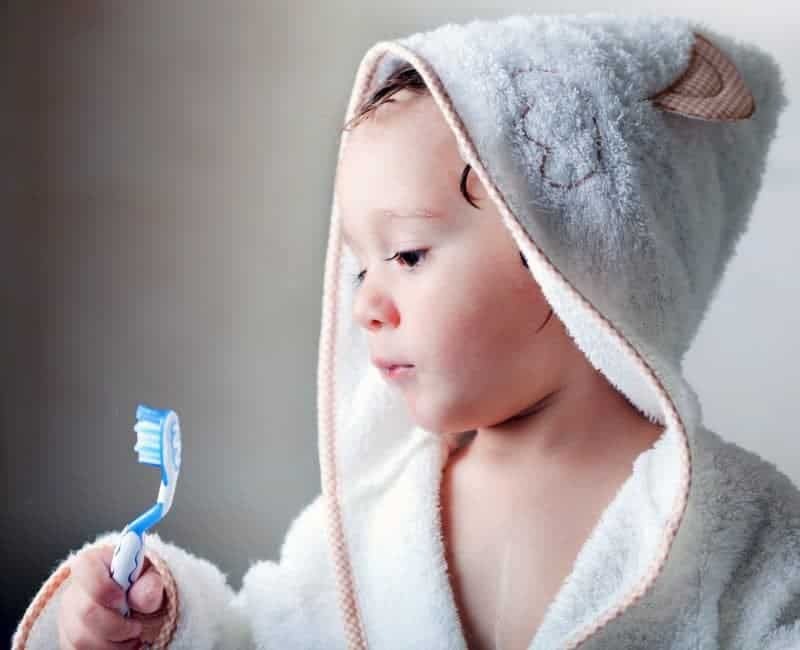 Make sure that you and your child brush their teeth every morning and every night, and avoid eating sugary foods. If you are prone to cavities, chances are your child is too, so do everything you can to teach them good dental habits while they are young. When should baby first visit the dentist? Most dentists suggest that you should visit the dentist by the time your child reaches their first birthday or six months after they develop their first tooth. It is a wise idea to visit a pediatric dentist, as they are used to working with young patients. If you’re wondering what you can expect from your child’s first dentist visit, check out this blog. No kids and no friends with young kids so this is not of interest to me. My kids are having kids now so this information will be quite useful. Teething is a very trying time for some parents. My son was 5 months old. When he started teething. I had given him a toy to bite on. At a year he had all his teeth. I am glad that’s all over. You gave good information on tips. If I have another child. I will follow your tips. This slightly in terms of how to care for baby teeth, etc. I just recently read an article that suggests that baby teeth should be stored as they contain stem cells which could be just as effective as umbilical cord stem cells!! Interesting?! Proper dental care starting from their first tooth puts your child on the right track to good oral hygiene for life. Great information, thanks for sharing! Thanks for sharing this great article. I remember those days of my kids teething like it was yesterday. Perfect! This should be a page in every new mom’s How-To book!